Multiple drawings can be automatically created from a typical drawing or updated based on a control file that can be created with an Excel template. Make the changes in Excel and let the program do all the work for you. This is a real time saver if you need to make adjustments on hundreds or thousands of drawings. Optionally an AutoLISP file (*.lsp;*.vlx;*.fas) can be loaded for each drawing. Each drawing can use a separate AutoLISP file if needed. This gives you almost unlimited flexibility when it comes to what task you want to automate. Example of usages: Add a stamp block; insert a title block; update text or attributes in the title block; insert text, block or xref; change text or attribute values and more. Change all external references (xrefs) from absolute paths to relative paths for archive purpose. Find and replace attribute or text values. 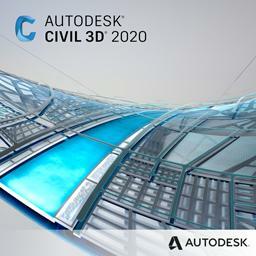 Bulk updating AutoCAD or BricsCAD drawings in most any way that you would like. If you have an idea of what you want to automate but don't know how to realize it, contact us for a solution. AutoGen creates new drawings based on one or more template drawings based on the control file. In the process text, mtext and block attribute values can be changed individually on each new drawing. It is possible to change only a part of the text string. If the template drawing contain the text "SHEET #sheetno#" it can be updated to for example "SHEET 1" by specifying #sheetno# as the text to change. Depending on your computer performance and the complexity of the drawing you can generate around 100 drawings in just 60 seconds. AutoGen has been used by customers creating instrumentation drawings, loop diagrams (loop drawings), schematics in an automated way based on data in a spreadsheet. AutoIns inserts text, blocks or xrefs into drawings based on the control file. These are the properties that can be set using the control file. In case you want to insert for example a circle or more complex geometry you can make a block of it and the insert it with the Explode property set to Yes. AutoUpd updates existing drawings based on the control file. In the process text and attribute values can be changed individually on each new drawing. It is possible to change both the whole text string or only a part of the text string. If the template drawing contain the text "SHEET #sheetno#" it can be updated to for example "SHEET 1" by specifying #sheetno# as the text to change. It is also possible to update text found at a location by defining a rectangle with two coordinates. This is for example useful if a title block contains mtext or text objects not being part of a block object. With the Import from drawings functionality you can get block and attribute information from one or many drawings. Example on how to search and replace attribute values or text. Download video showing usage of AutoUpd or see it on YouTube. A trial of JTB CAD Automation Tools can be downloaded and installed as an app from the Autodesk App Store site or by contacting us. Purchase is also available through this site. Full support is provided during trial period that is up to 30 days. 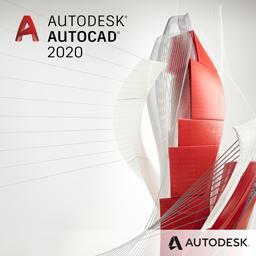 If you need JTB CAD Automation Tools for AutoCAD 2012 or older please contact us. Customers can contact us directly for access to download the full version. Subscribe to our JTB CAD Automation Tools newsletter or any of our other Newsletters. 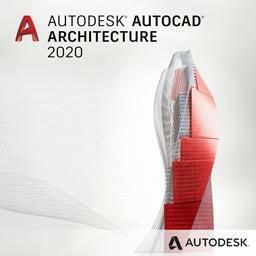 AutoCAD 2000 or later or verticals based on AutoCAD, BricsCAD 15 or newer. 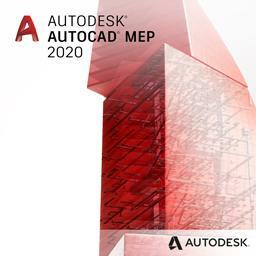 Tested on AutoCAD 2004 up to AutoCAD 2020 and BricsCAD 15 up to BricsCAD 18. All verticals or flavors based on AutoCAD should be working like AutoCAD Architecture (ACA), Architectural Desktop (ADT), AutoCAD Civil 3D, AutoCAD Electrical , AutoCAD Map 3D, AutoCAD Mechanical, AutoCAD MEP (AMEP, ABS), AutoCAD P&ID, AutoCAD Plant 3D, Autodesk Advance Steel. Compatible with those operating systems AutoCAD runs on like Windows XP, Windows Vista, Windows 7, Windows 8, Windows 8.1 and Windows 10. 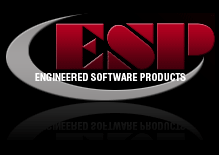 Contact us if support for other CAD software. 50 USD for one license or less depending on the amount of licenses. Run the JTBW_Activate_Apps command in AutoCAD or BricsCAD on the command line to activate the app after purchase or to extend a trial. Follow the instructions and email to JTB World for the license activation key. The license is perpetual and support is included. If you have more than one computer and you are the only user of the application one license is enough. 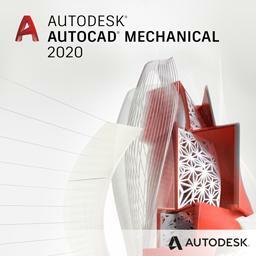 JTB CAD Automation Tools can also be downloaded, installed and purchased as an app from the Autodesk App Store site. Alt 1. Extract the zip file to C:\ and the JTB CAD Automation Tools folder will be created. If you select another folder you will need to change the path in some files. The Appload command can be used to load the VLX. To make sure it is loaded automatically click on Startup Suite Contents button and add it. acaddoc.lsp can also be used. If download has been done via Autodesk App Store site the application will automatically load and also add the Automation Tools panel to the Ribbon tab Plug-ins/Add-ins. Sometimes 'JTB CAD Automation Tools.VLX' needs to be located, it is found in any of the folders of "%appdata%\Autodesk\ApplicationPlugins\JTBW-CADAutomationTools.bundle\Contents\Windows" depending on AutoCAD version. The copy button can be used to copy sample files that are in (%appdata%\Autodesk\ApplicationPlugins\JTBW-CADAutomationTools.bundle\Contents\JTB CAD Automation Tools) to the C:\JTB CAD Automation Tools folder. This shows an example how to use AutoGen and the steps are similar for the other commands. Specify path and name for the drawing to be created as well as the path and name for the template to be used. Use a button to select and populate the template sheet with the path and name for the drawings. Use a button that automatically save the Excel template to the correct format. The Control file should be in TXT tab delimited format. Start with AutoGenTemplate.xls and when ready save as Text (Tab delimited) (*.txt). 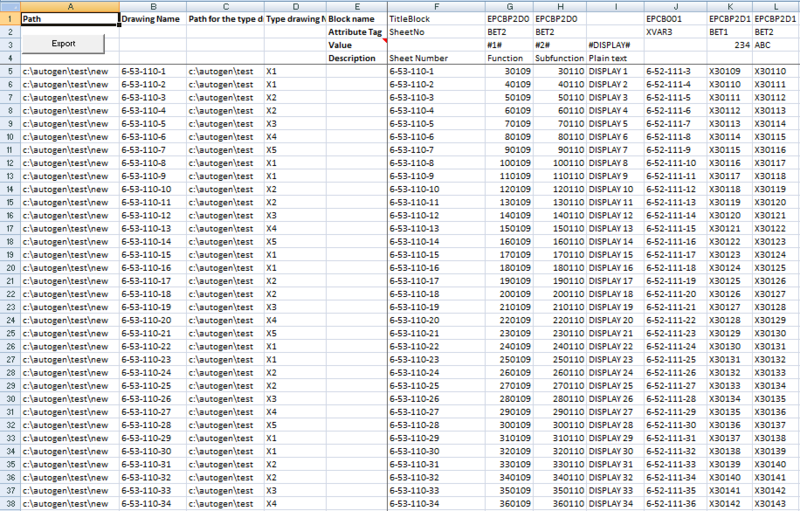 Excel 2007 and newer versions supports more than 256 columns. Make sure to save the Excel file to the XLSM format that allows macros. Recommendation is to close all drawings and start a new empty drawing. Start with the commands AutoGen, AutoIns or AutoUpd. The first time you may be asked for the location of program file. When asked for control file browse for and select the control file to be used. Run the tools on the files. **IGNORE** can be used as a value if you don't want JTB CAD Automation to affect the value for a specific combination of drawing and attribute/text. If the program is not working as expected run "Reset JTB CAD Automation Tools.reg" found in the installation folder and merge it to the registry to reset the paths. Check AutoCAD's or BricsCAD's command line when you start a new drawing and see if there are some errors. This can cause the program to halt. One indication on this problem is that AutoGen produces the new drawings but does not update them. If you have old templates they might not be compatible with most recent template format. Check that they are matching. Contact us for further support. When having more than 1 of the same block in a drawing the AutoUpd command will not be able to update each unique instance of the block's attributes. If you have a need to have this fixed please contact us. 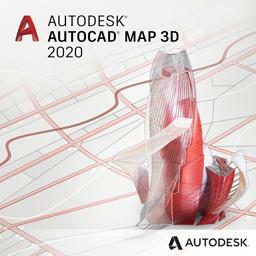 Added support for AutoCAD 2020. Added support and installer for BricsCAD up to version 18. Add block handles row in AutoUpd. In case there are 2 or more blocks of same name, this handles row helps to identify and populate changes to each block accordingly. Add new licensing function, including Network license feature. Fixed bug in AUTOINS command that showed error "no function definition: XREFPATHTYPE". Updated Excel files to handle export when cells contains only . or , characters. Fixed issues in AutoUpd Excel files that could cause issues between 32-bit and 64-bit. AutoUpd Excel files function to Import from Drawings updated. Changed from using .XLS to .XLSM files. Excel export supports different language settings for decimal symbol and date formats and other custom formats. AutoUpd got added support for finding text within a rectangle defined by a couple of coordinates and have it updated. 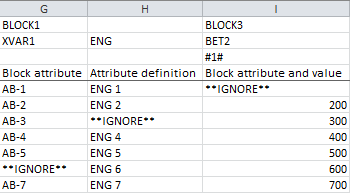 It is possible to search for a part of TEXT, MTEXT or block attribute and replace the whole with a new value. Wcmatch logic used to search for values using wildcards. The Excel templates have been changed, make sure to use the new ones. Support for dynamic blocks added to AutoGen. Cells with “**IGNORE**” will not be considered. Fixed bug so that different AutoLISP files can be loaded on different drawings. Minor bug fix in reading the control file. Support for dynamic blocks added. Minor fixes that for some users might make the commands not working at all. Works now with MDI (SDI=0) instead of SDI (SDI=1). Find and replace attribute values. files with the new Excel sheet. Makes it possible to insert objects to all layouts with the AutoIns command. Remember the folder browsed for. Minor update to allow only execution of an AutoLISP file without having to add any other action. Installer added to simplify the installation process. Add files in the Excel templates improved. Now a folder can be selected and all drawing files in the folder and subfolders are added. New files are also added at the row you have selected making it easier to select files from different folders. Added support to execute an optional AutoLISP file on each drawing. "I am very happy with this product." One user had "4700 drawings to update" with different title blocks and was able to do it quickly with JTB CAD Automation Tools. "This is a super helpful tool for us and I cannot describe how many hours I have saved thanks to this program" - says a happy user. "This product is very helpful and worth every penney." "The AutoCAD Automation Tools from JTB World save me a lot of time when editing individual files, and there have been many times when I couldn’t have met deadlines without them." Emerson Process Management PWS India Pvt. Ltd. Contact us for any questions, wishes or comments.